One city – Philadelphia; One family – the Walczaks; One history – Ours. 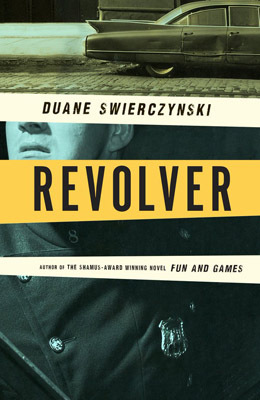 In the simplest of terms, this is a description of Duane Swierczynski’s Revolver. By documenting three generations of one family, Swierczynski manages to speak universally about the struggle to be human in turbulent times. In 1965, Stan Walczak was a good cop, a good family man, and a good partner to George W. Wildey. On the surface, the relationship between these two cops would seem fraught with conflict – Stan didn’t want a new partner; Stan has been on the police force for some time while Wildey is a newer recruit; Stan is white and Wildey black – but when both men are shot dead at a corner bar, their legacies are forever linked. In 1995, Jim Walczak, Stan’s son (now a policeman himself), wants to avenge his father’s murder while working to keep the streets of Philadelphia crime free. His obsession makes connecting with his wife and kids difficult and the choices he makes will reverberate through time – in both directions. In 2015, Jim’s daughter Audrey is struggling as a forensic science student when a simple class assignment threatens to expose old wounds, buried secrets, and scars that may never heal. In a novel full of diversity, it is fitting that she is the one to show that justice is rarely a straight-line process. The novel is structured so that readers get a portion of each of these stories – each of these decades – in every chapter of the novel. The brilliant element of Revolver is that any one of these stories could easily stand-alone as their own complete novella. However, like the cylinder on a revolver itself, there is a cyclical nature to the proceedings when examined as a whole. All of the characters in Revolver are carefully crafted by Duane Swierczynski to be fully formed and complex. 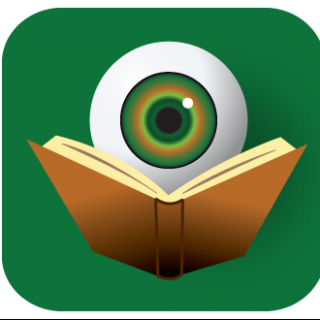 This includes not only the three point-of-view characters, but also every secondary person who makes an appearance on the page. By the end, readers feel like they know these people intimately. Readers will laud their virtues while sympathizing with their flaws. It would be impossible to look at the history of policing in Philadelphia without examining the shadow of racism in America, but Swierczynski never takes the clichéd route when it comes to this issue or any of the other larger societal ills documented throughout the novel. As in life, there are few easy answers. As Polish immigrants, the Walczak family represents the legacy of those coming to the United States in search of the American Dream. In each of the generations, you can see how the disillusionment grows, but how the desire for “better” is never fully squashed. Revolver is poised to take Duane Swierczynski from critical darling to bonafide contender. I fully expect to see the novel on many Best Of lists – including my own – by year’s end, after which the accolades and awards are sure to follow. At a time when our citizens are struggling to maintain trust in their law enforcers, it is important to tell their history in a realistic and authentic way.